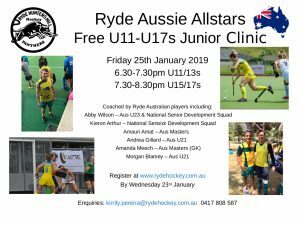 Come and be coached by some of our Australian representative players in a free junior clinic. Open to all U11 – U17 players from any club, not just Ryde players. Learn from their experience and get ready for the hockey season!